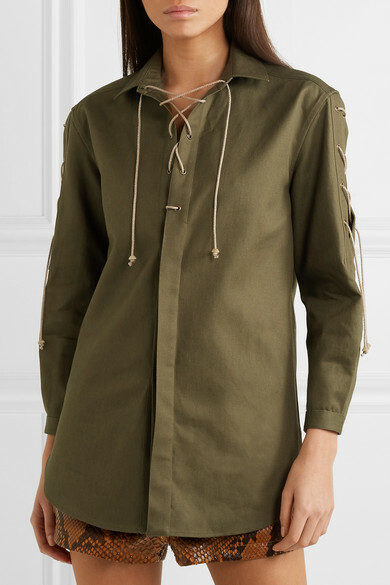 In-keeping with this season's utilitarian trend, Saint Laurent's shirt is inspired by traditional military uniforms but designed in a more refined silhouette. 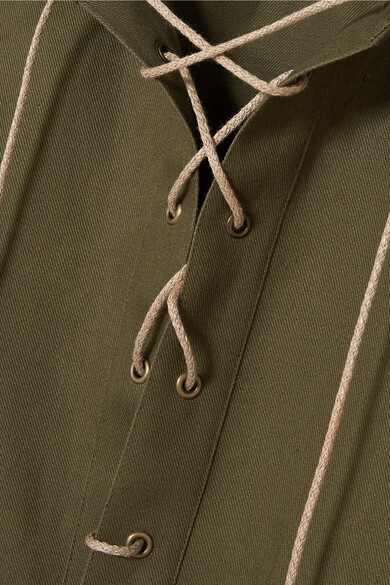 It's been made in Italy from an army-green cotton and ramie-blend that holds its shape really well and has a lace-up front. 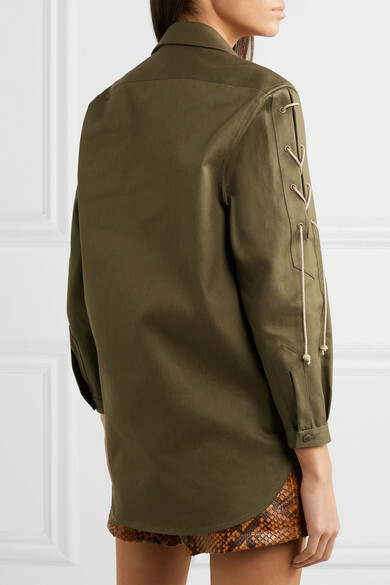 Wear yours tucked into the brand's python shorts to balance the loose fit. Shown here with: Saint Laurent Shoulder bag, Saint Laurent Slides.